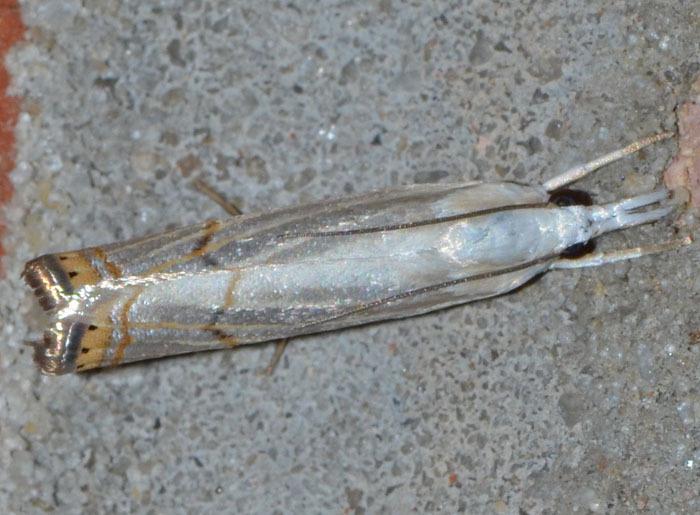 The Graceful Grass-veneer Moth is graceful indeed. I really like the intricate pattern along the end of its hindwings. There are at least five US species in this genus.